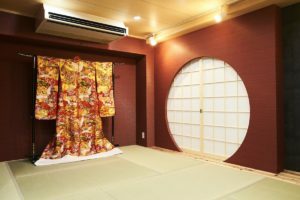 We allow you to rent a kimono inside and outside our facility which used to be a geisha house and has many picturesque backdrops with professional lighting. 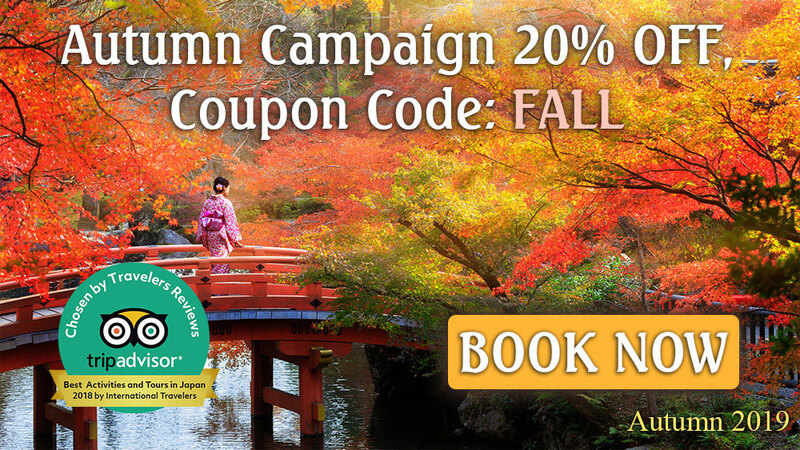 Renting kimono in Osaka can be a fun and memorable experience. 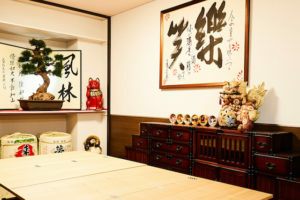 Lockers for your belongings, free simple hair styling, various choices of kanzashi and hairpins, multilingual staff, plus size kimono and more. 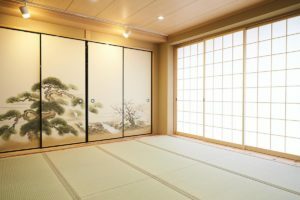 For travelers to Kansai, renting a kimono and strolling the streets may be associated with Kyoto but it actually is more fun and memorabla when it is done in Osaka. You can rent the most popular designs at this convenient location and then take a picture in front of dozens of different kinds of backdrops at Maikoya. There are large size kimonos, kimonos for men and kimono for young kids. Also the location is very convenient so you don’t have to worry about returning your kimono to a far place. The kimono is a beautiful item of traditional clothing, and is immediately associated with Japan. When you’re in Osaka, do yourself the favor of wearing a real kimono. For women, you can experience putting on a kimono layer by layer until the beautiful silk outer garment is finally tied with the obi sash. 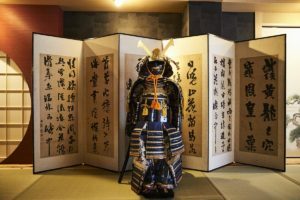 And although putting on a kimono is much less complicated for men, it’s still a great way to gain an understanding of how it feels to dress in authentic Japanese clothing. ***In winter season, we recommend you to wear a scarf, thin thermal shirt and leggings to keep you warm (Tights is not suitable for Japanese footwear "zori"). ***You can rental warm clothes with additional fee at MAIKOYA.